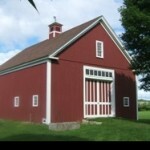 The 1859 Parmenter Barn is a classic example of a Yankee post and beam dairy barn. 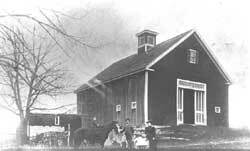 Originally located on High Range Road, it is the last barn in Londonderry that was assembled through a community barn-raising. 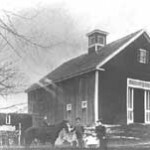 In 1998 the Historical Society moved and later re-assembled the barn piece-by-piece. 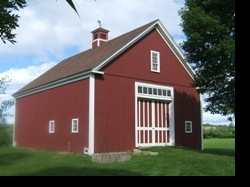 Now completely restored, all signs of 20th century modifications have been eliminated and the barn is once again a solid symbol of Londonderry’s agricultural heritage.